This event will be held in lecture room B34 on the basement level of the main building of Birkbeck College (building 1 in the map). The address is: Torrington Square, WC1E 7HX, London. Registration, refreshments, and networking will take place in room B04, also on the basement level of the main building of Birkbeck College. Note that Torrington Square is a pedestrian-only square. 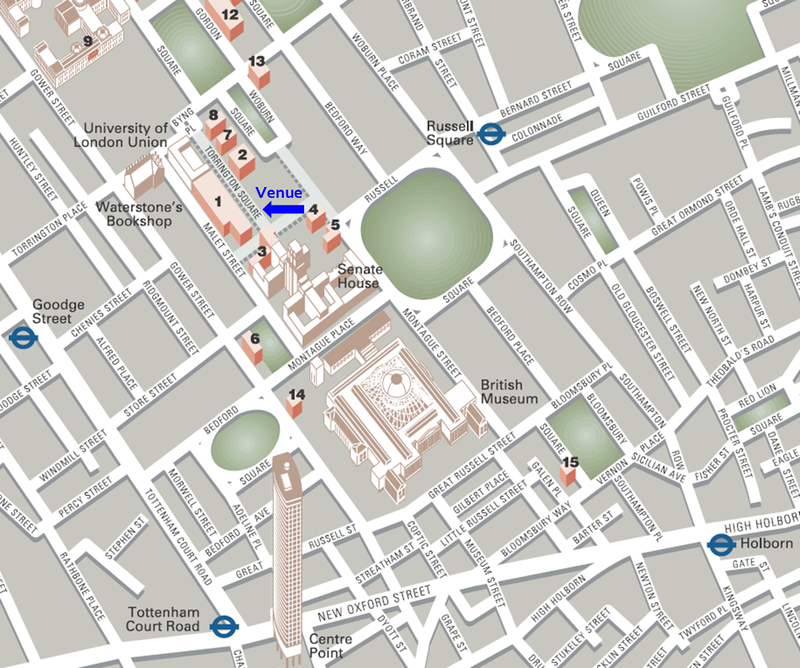 It is located about 10 minutes walk from either Goodge St or Russell Square or tube stations. For general information about travelling to Birkbeck, click here. 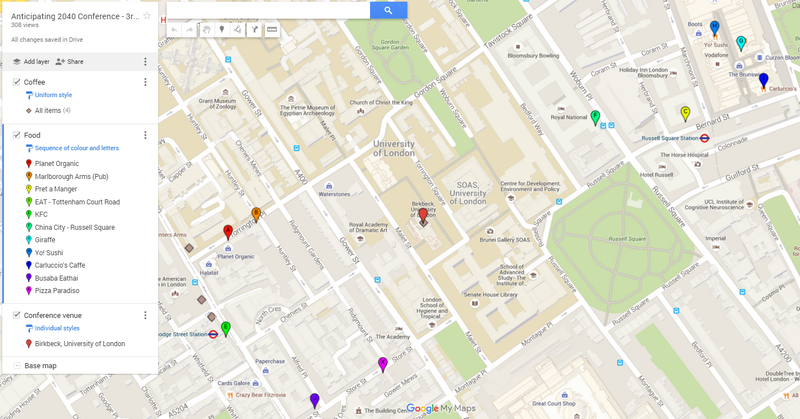 This Google Map lists selected restaurants and coffee shops that are within around 10 minutes walk from the conference venue. Note: the conference organisers have not personally eaten at all of these restaurants, and cannot personally vouch for them all. If anyone would like to recommend a change to the content of the map, based on their own knowledge and experience, please let the organisers know.